Austrian dark horse and JP Australia team rider Peter Bartl has defeated Chase Kosterlitz and French young gun Arthur Daniel to claim the Happy Summer SUP Challenge, the $10,000 SUP race that was held today in Namur, Belgium. Meanwhile Fanatic’s Olivia Piana triumphed in the women’s race ahead of Melanie Brandstätter and Celine Gondert. The race his literally just finished, so check out the early results below thanks to SUP-Guide.com and check back later for the final standings. Peter Bartl has been in impressive form lately, winning in Mallorca earlier in the season before putting in a gutsy performance at the Lost Mills, where he spent much of the race keeping pace with the likes of Connor Baxter and Travis Grant. 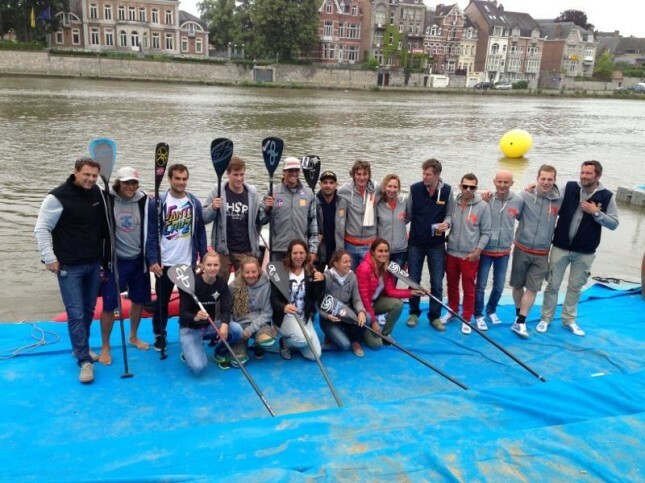 The big race in Namur today also marked Week #5 of the Euro Summer racing season, which we’re calling the European SUP Racing Tour presented by NSP. The other event in Week #5 is the Bilbao World SUP Challenge in Spain.